MK Basel Ghattas (Joint Arab List) admitted smuggling cellphones and messages to security prisoners he visited in jail. 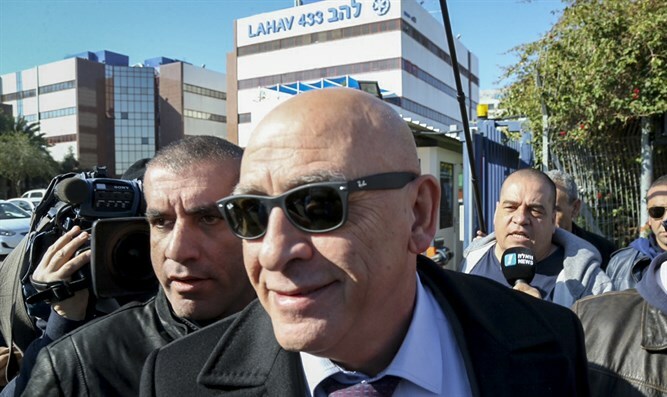 MK Basel Ghattas, who was interrogated by police for several hours on Tuesday, admitted to the charges he had been accused of, according to a Channel 2 report. Ghattas admitted having smuggled telephones and messages to the security prisoners he visited in jail. These were used to plan terror attacks and instruct terrorists on the logistics of the operations. The head of the Foreign Affairs and Defense Committee,MK Avi Dichter(Likud) said this morning that "Ghattas' foot should not step into the Knesset - he might smuggle in arms which will lead to an attack on our elected representatives." Dichter explained that "Ghattas is a real danger. As a member of Knesset he benefits from immunity when he visits terrorists in jail and when he enters the Knesset without a security check. A mobile phone is not just a medium for communication; it is also a terrorist weapon used to activate terrorists who are located outside." "This MK could enter the Knesset with weapons, deposit them in his office and afterwards arrange that someone come and carry out an attack. This could lead G-d forbid to attempts to harm the Prime Minister or other members of Knesset. His cannot be allowed to cross the threshold into the Knesset."